We offer three styles of doors with sound transmission class (STC) ratings ranging from 43 to 49. Our doors are used in offices, hotels, theaters, and studios across North America. We offer unique one-sided panel designs to help match existing doors, as well as glass kits common in studios and commercial spaces. Our doors are wood-based with wood jambs, and have a familiar nearly foolproof residential installation. Our perimeter seal system is easy to install and is concealed fully within the space between the door slab and jambs. 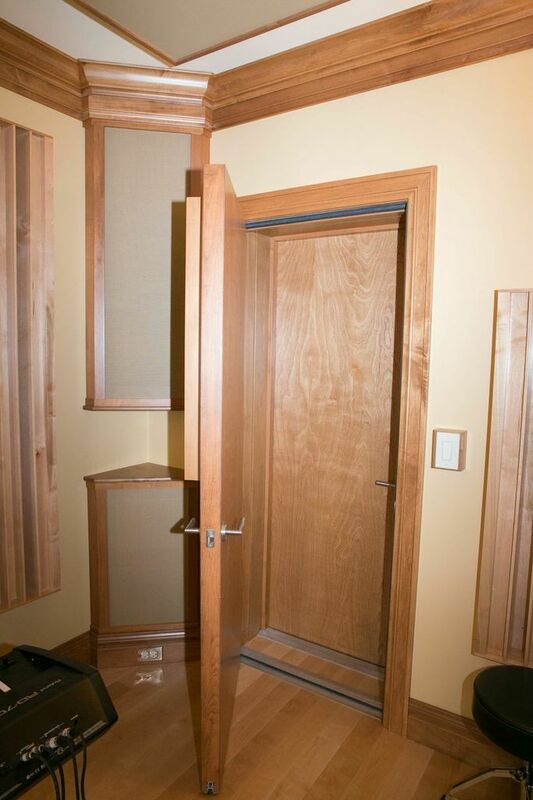 Our sound testing is extensive, recent, and includes test results for single doors, both operable and inoperable, as well as communicating assemblies at varied depths. Are we thinking about daylighting all wrong? Daylighting is an integral part of architectural design. After all, building occupants want a physical and psychological connection to the outside world. We evolved under sunlight; our Circadian rhythms—governing daily living cycles, influencing our mood, and controlling our sleep patterns—developed in response to a connection to the outdoors. Melding aesthetics with performance was top of mind in the design of Michigan State University’s (MSU’s) new Bio Engineering Facility. The four-story, 12,077-m2 (130,000-sf) research laboratory building features proprietary resins comprising 70 percent PVDF that meet or exceed AAMA 2605. This year, ‘resiliency’ emerged in the building landscape as more than a buzzword. Many regions around the world are increasingly subject to the rigors of various impacts, including extreme weather, population shifts, disease, power or communication disruptions, and financial shocks. Ace Hotel New Orleans, which opened in March, has transformed the 1928 Art Deco, nine-story Barnett’s Furniture building into a 234-room boutique hotel with dining, retail, event, and meeting spaces plus a rooftop pool. More than 48,000 aluminum flapper panels that move in response to wind currents comprise the façade of Boston Logan International Airport’s new 10-story West Garage Extension, designed by Arrowstreet Inc.